We’re proud to announce the making of a new episode, watch the trailer below! The final release will be January 27th, 2016. 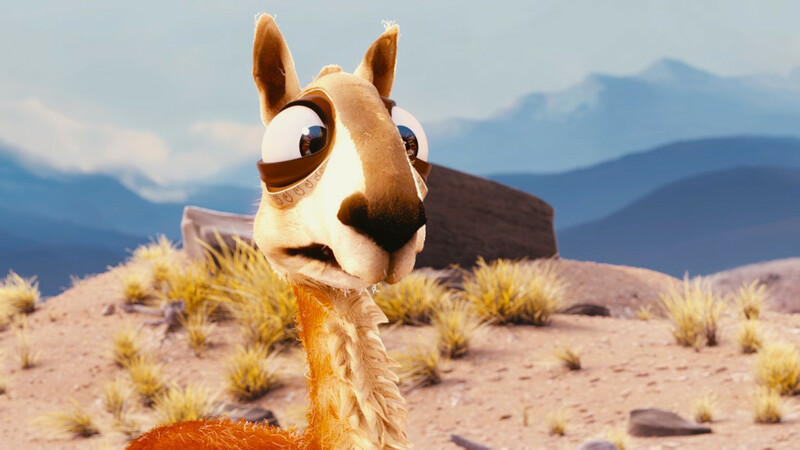 Caminandes 3 (working title) is a ~2:30 minutes cartoon, featuring Koro the llama and introducing new characters. 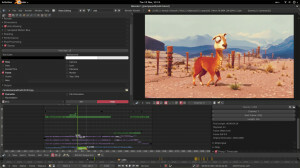 This episode is produced by Blender Institute, with the support of the Blender Cloud subscribers. Learn more and follow the progress on Blender Cloud. 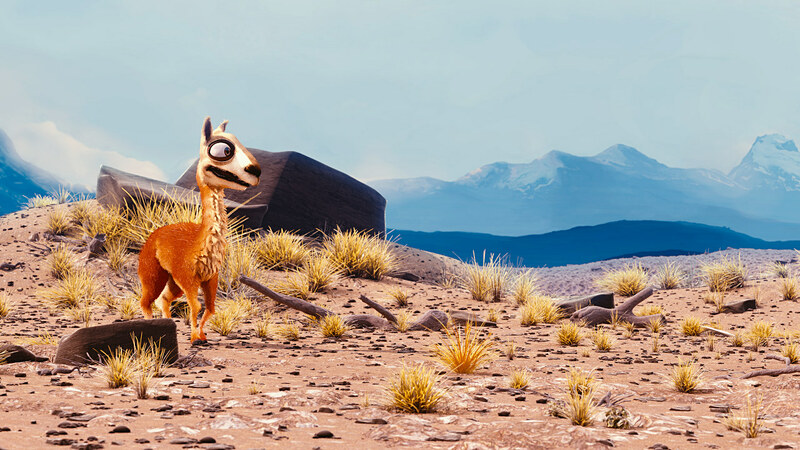 Caminandes: Gran Dillama has been included in Puzzlfy! Puzzlfy is an app for kids, it allows them to create a puzzle out of any video they are watching. While playing the video, if the user hits the “Puzzlfy” button, the current frame of the video instantly becomes a puzzle. We are always glad to see the many uses that can be done with Open Content and we wish the guys at Radius60 Studios the best of luck with Puzzlfy! 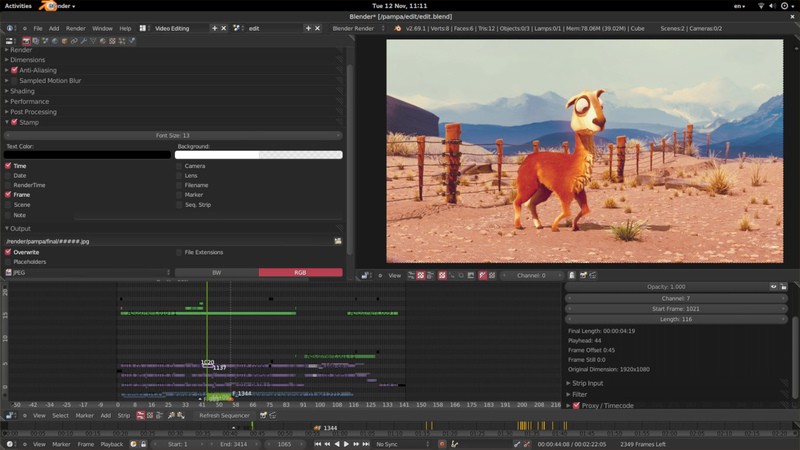 Have you used Caminandes (Gran Dillama or Llama Drama) in any of your projects? Let us know! It is time to check if the names of our great supporters are correctly spelled. If you have pre ordered the film before October 12 2013, please check out the USB Card Pre-order Credit page and report any issue! Caminandes 2: Online Premiere Date! 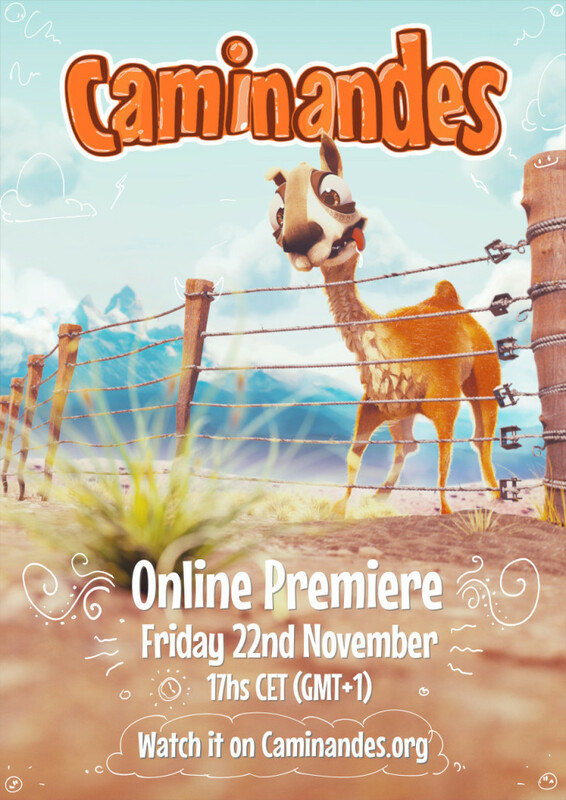 We would like to announce that on Friday 22nd of November, at 17hs Amsterdam time (Central European Time, GMT+1) we will publish the second episode of Caminandes online! In order to celebrate all together, we are going to host a Google Hangout on Air. 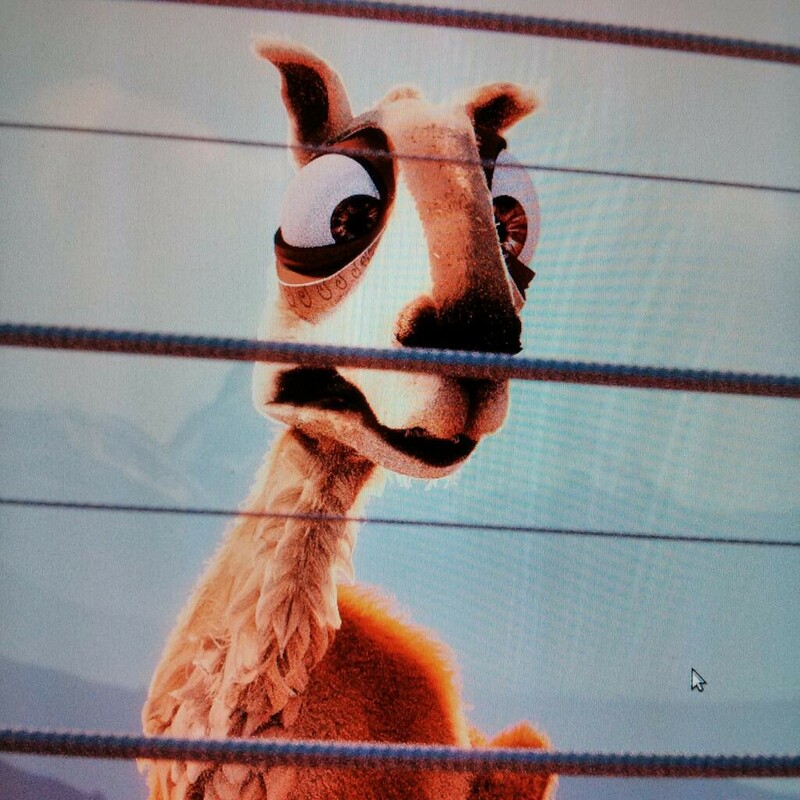 Everybody will be free to join and see our happy llama faces fill up with tears as we watch the whole new Caminandes play on YouTube. Cheer with us! Well, you can also go to the Blender Foundation YouTube Channel and watch it there, but here the experience will be much cooler. Please spread the word and help us make this day memorable! Also, we did not quite reach our funding target yet: it would be great if that could happen too. Exciting times for Caminandes. Everything is coming together, adding special effects and little animation tweaks here and there. Jan is writing music like a boss with a final edit that is 2 minutes 22 seconds! 10 of those seconds are for credits yes (ours and you awesome pre-orderers), but the rest is pure cartoon magic. We’re so close to finishing, that we’re about to start recording tutorials/documentation for your delight! To get the best out of this, we need your input, what would you like to learn? What do you think? Let us know if we’re missing an important topic. The ones listed above are those we believe can be explained efficiently (without becoming a training DVD :) Keep in mind we also have to deliver the film! It is now time for final renders! Thanks to our sponsor render.st we are able to render most of the film there. The process should take a few days. During the next 2 weeks many more things will happen: sound production with Jan Morgenstern, tutorials recording, film credits! So, the production is still on track and we will soon announce the premiere and release dates. 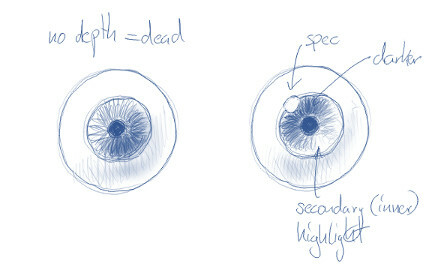 To make characters appealing, it’s important to get the eyes right; and one of the most important aspects of appealing eyes is the right amount of specular highlight. In most cases the best position for a highlight is within the area of the iris, but not right in the pupil. The best way to get this effect is of course by tweaking the actual lighting in the scene so it results in nice lively eyes. However this can lead to continuity issues, shadows start pointing into the wrong direction, etc. To solve this, the eye spec has to be separated from the scene light. Since we’re making a cartoon we can bend reality a bit further, the specular reflection doesn’t have to be 100% in the same place as the scene lighting… BUT it still has to be believable. In Big Buck Bunny for example, the highlight was a separate – specular only – light (often one for each of the characters) which enabled us to put it exactly in the right spot. This technique is still very fiddly and it takes a while (and a lot of re-rendering) to position the spec exactly where you want it. Another challenge: Since we render in Cycles there is no easy way to use light-groups, AND all our characters are linked into the shot files as groups – which means we cannot tweak material properties on a per-shot basis and per object, this gets a bit more tricky. But only a bit. For Caminandes we chose a more flexible solution that allows us to control the highlight interactively in the compositor using normal passes (and for each shot). Using the compositor, apply a color ramp on the dot product of the normal pass using the Normal node. The Normal node is used to control the direction of the specular reflection, it needs a slight tweak to shift the vector around and make it more user-friendly. Of course, the position of the specular has to match the general light direction. The eyes still get reflections from the scene, but the specular highlight adds to the appeal.